Haley Mead is an Appleseed intern and student at the University of Kansas. As befits all good fairy tales, for Nebraska Appleseed intern Haley Mead it started with a pair of shoes. And so Haley began working toward that goal. Originally from Lincoln, she wants to continue to give back to her native Nebraska through her internship with Appleseed. 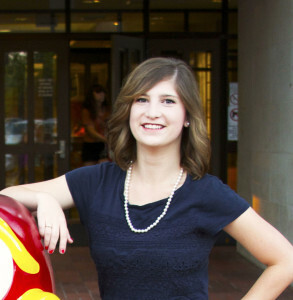 A current student at the University of Kansas studying journalism with an emphasis in strategic communication and sociology, Haley keeps her focus on the nonprofit side of business.